The health care system in the U.S. is extremely fragmented and complicated. At Grand Rounds, we combine unparalleled clinical expertise (i.e., our award-winning patient care team) with data and technology to make health care more efficient, intelligent, and personalized for our 4.2 million members. More specifically, we’re building platforms that carefully curate complex—and oftentimes messy or incomplete—data and make it available in a safe, secure, HIPAA-compliant way. This allows us to find meaningful insights that lead to magical moments for our members, like helping Lynn find the right doctor and treatment path. 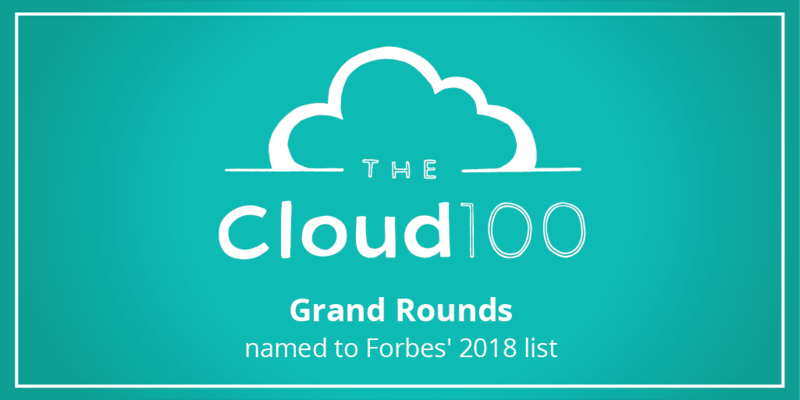 It’s an honor to have our leadership in data and technology validated by the industry—Grand Rounds was named to the 2018 Forbes Cloud 100 list today. This is the second consecutive year we’ve been recognized as one of the top 100 private cloud companies that are reshaping their respective industries. We are one of only five companies in the health care category, and the only Bay Area-based health care company on this year’s list. This is a testament to the smart, passionate team we have solving some of health care’s hardest problems. Want to use data and technology to reimagine health care? Join our Tech Team!